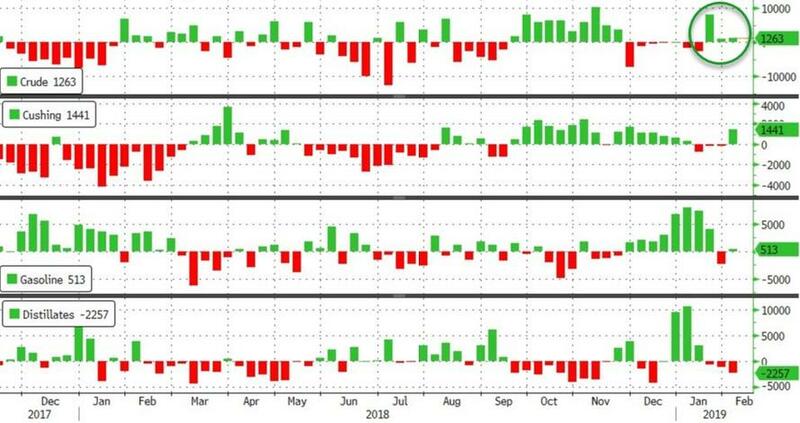 InvestingChannel: WTI Bounces But Inventory Builds Spark "Glut Alarm Bells"
WTI Bounces But Inventory Builds Spark "Glut Alarm Bells"
WTI has extended losses following last night's broad inventory builds reported by API, briefly dropping to a $52 handle. 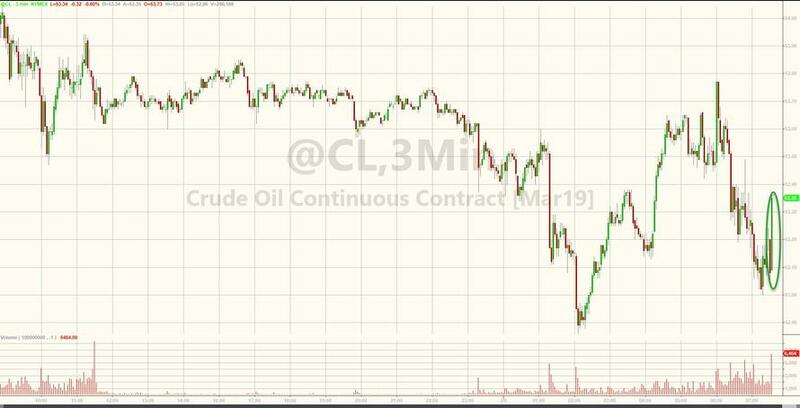 “The API set a bearish tone after reporting builds across the board,” PVM Oil Associates analysts including Stephen Brennock wrote in a report. “All in all, these figures will do little to silence the U.S. glut alarm bells,” Brennock said in a separate note. 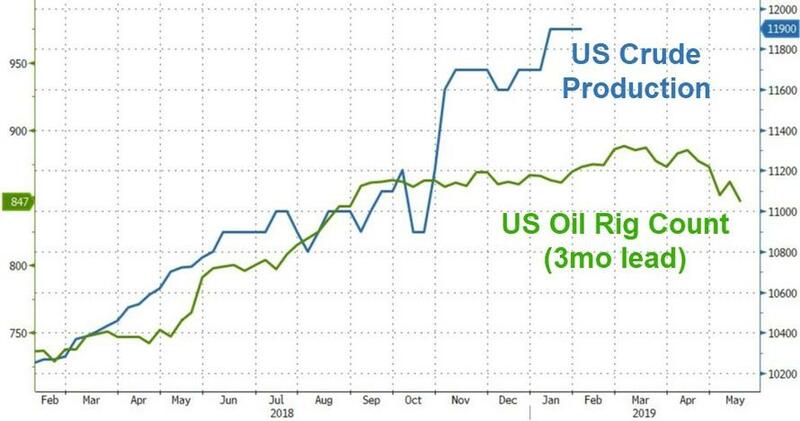 Bloomberg Intelligence's Senior Energy Analyst Vince Piazza noted that turmoil in Venezuela is behind the recovery in WTI prices after a December swoon in a crude market driven by geopolitics. We remain skeptical, based on a recent drop in Asian demand and concern that trade tensions will slow growth in developed economies. U.S. termination of waivers for sanctioned Iranian barrels this year is a key risk for balances. Resilient domestic production and a healthy backlog of almost 8,600 uncompleted wells informs our more cautious stance. WTI tumbled to a $52 handle overnight after the API data, bounced, then fell once again as the dollar strengthened. Prices kneejerked higher on the smaller than expected crude build...but remain lower on the day.